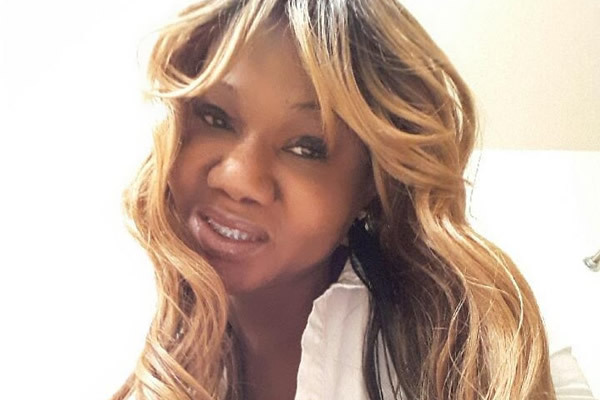 D.C. resident Meshalia Johnson, 43, charges in her complaint filed last month that officials with RCM of Washington, Inc., which provides support services for people with intellectual disabilities, didn’t appropriately respond to her concerns about the incident, prompting her to withdraw from the training program and end her prospects for securing a job with the company. “I very much wanted to work at RCM as a DSP [Direct Support Professional] aide,” Johnson states in her complaint. “However, by Friday [Aug. 24] many of the other coworkers in the class were asking me inappropriate questions about my gender identity and gender dysphoria and I did not feel like RCM would have my back in supporting me,” her complaint states. “At this time I gave them my resignation because I knew the situation was beyond repair,” the complaint says. Danielle Darby, RCM of Washington’s chief operating officer, said that based on advice from its attorney the company would have no comment on Johnson’s allegations and complaint at this time other than to say the company had yet to receive notification from the Office of Human Rights that the complaint had been filed. “RCM of Washington has provided services and supports in the District of Columbia since 1998 to people with intellectual and/or developmental disabilities with a positive pathway toward Revitalizing Community Membership empowering independence and integration into their community,” a statement on the company’s website says. “Our unique approach provides those we support with the critical services they need to set attainable goals and develop action plans toward maintaining stable, safe and affordable housing, gaining sustainable employment and living the lives they want, within their community,” the website statement says in describing the work that RCM does. Johnson told the Blade she had been looking forward to working for RCM to advance its mission of helping disabled people in the District. She said that as someone who transitioned as a transgender woman more than 20 years ago, she was especially disheartened that a company dedicated to helping others appears to have condoned a discriminatory action in violation of the D.C. Human Rights Act, which bans discrimination based on gender identity and expression. Her complaint states that the alleged incident took place on Thursday, Aug. 23, in a classroom at RCM’s offices at 64 New York Ave., N.E. “[T]he trainer, a woman named Patience, deliberately used the wrong pronoun and outed me as trans in front of the other coworkers,” her complaint states. “The incident arose at the end of a test when she asked the class if everyone was done,” the complaint continues. “She then looked directly at me, and the name tag in front of my space that said my name, Meshalia, and said to the class, ‘Oh, he’s not done,’” the complaint says. Johnson says in the complaint that the incident was so upsetting to her that she excused herself and left the classroom. A short time later she met with an RCM personnel official named Nicole, according to the complaint, who told her that Patience denied calling her “he” but nevertheless apologized for what appeared to be a misunderstanding. Meanwhile, Johnson’s complaint states that Patience allegedly addressed Johnson by the pronoun “he” a second time about two weeks later. The Office of Human Rights, which is charged with investigating discrimination complaints, never publicly comments on such complaints or acknowledges that such a complaint has been filed unless and until its investigation makes a finding of probable cause that a discriminatory action occurred in violation of the Human Rights Act. At that time, the OHR requires that the complaining and accused parties enter negotiations over a possible conciliation agreement or settlement. If the negotiations fail, the OHR brings the case before the D.C. Commission on Human Rights, which holds a public evidentiary hearing similar to a trial with testimony by witnesses. The commission then hands down a decision on whether a charge of discrimination has been proven. Johnson said she consulted an attorney with Whitman-Walker Health’s legal department prior to filing her complaint.